A new year dawns and with it comes new and exciting changes. The L64 Custom shop has been the focal point for many disc golf enthusiast and collectors through the past three years, and it has been a great ride with lots of fun disc designs and oddities. Now the time has come for a rebranding of sorts and with that a new name and a new “suit”. Don’t worry, the old inventory is still there, along with a few new speciality items of choice. The main goal is to further expand the concept and inventory both in width and in depth with new and exciting items along the way. 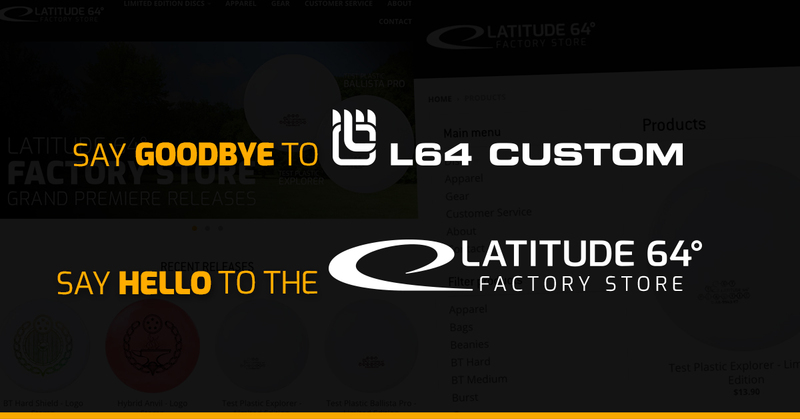 Very soon we will open the shop and welcome you to the Latitude 64° Factory Store, we hope you will enjoy the new ride. 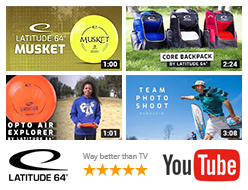 New faces in Team Latitude 64° for 2019 Take our color survey – win a bag!